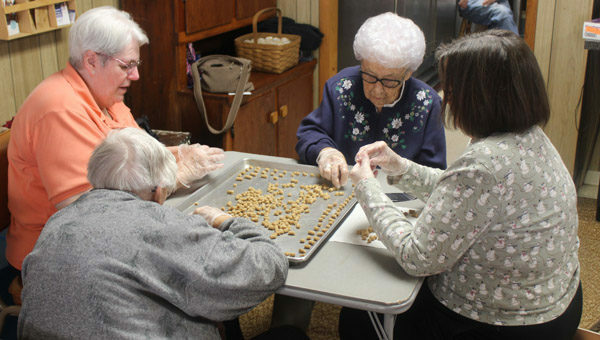 The Peabody Senior Center has been working hard the past two months making peppernuts, a traditional German cookie, to sell to raise funds for the center. “We had lots of fun working on this project. 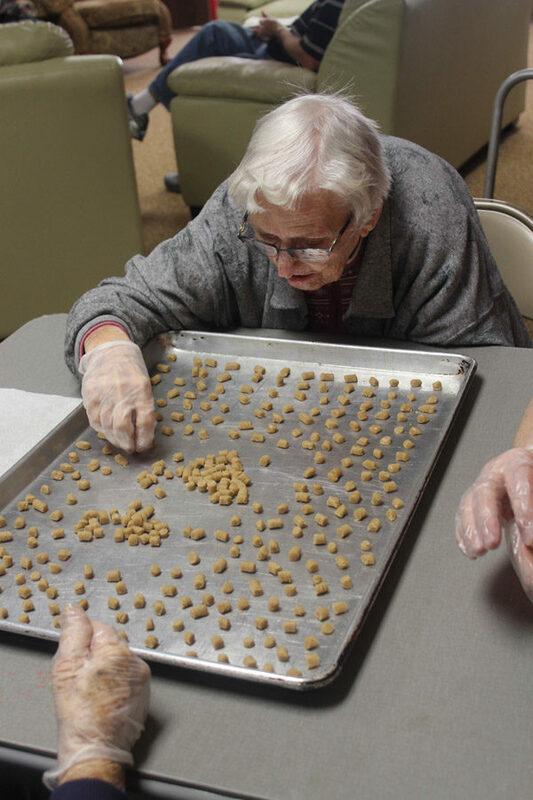 Our volunteers were wonderful,” said Director Lou Ann Bowlin. Men and women helped with the project and seemed to enjoy the time visiting with each other. “We have been having fun,” said Sonja Koslowsky. Many have been showing up since the fundraiser first started in 2001. But there are two in particular who are really impressive. Sally Motts is 95 and Sadie Decker is 101. “These women are working just as hard and keeping up with us. They are amazing,” said Pam DeFisher. Sadie Decker said that she enjoyed the project. All of the volunteers had snacks and coffee provided for them. On the final day of the project, they had a cookie party to celebrate completing it.